Charming canary yellow color with fire like a blazing sun and completed with lovely luster. We think this gem will fulfill your desire for that extraordinary gem. 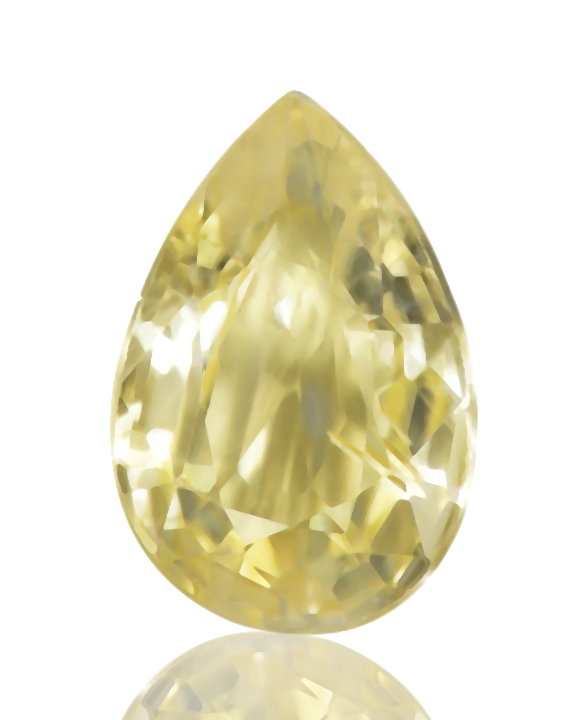 This untreated Burmese sapphire is cut into a drop shape. Approximate dimension as follows; 8.5 mm x 5.8 mm x 3 mm deep and weighs is a good sized 1.28ct. Grading: Color yellow, Clarity SI, Cut good.